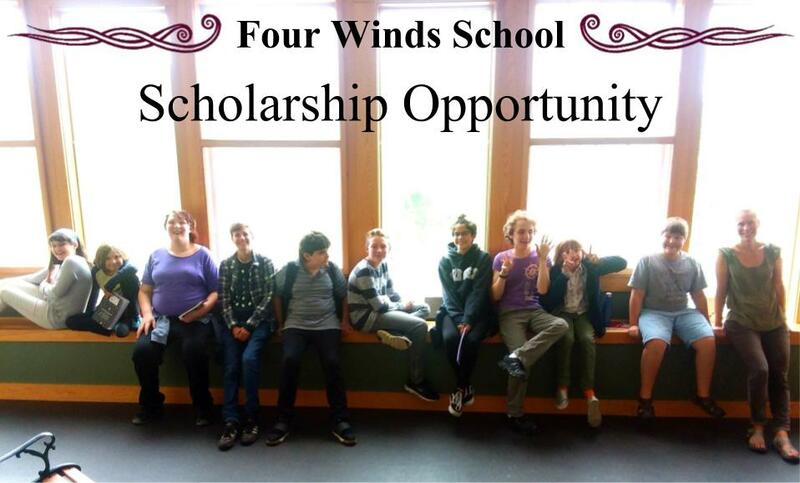 Earn a full scholarship to Four Winds School! Write a short essay (one page maximum) explaining why a year at Four Winds will benefit you. What about our program would help you thrive as a student, and what would you bring to the Four Winds Community? Your essay is an opportunity to let your true personality shine! Send your essay submissions to us at fourwindsteachers@gmail.com by May 1st, and feel free to contact us with any questions along the way. We look forward to reading your response! After the May 1st deadline, the director of studies will compile all essay submissions and omit any identifying phrases/words, such as name, gender, race, etc. Then the director will bring the essays to the board of trustees, who will rank the essays based on their response to the prompt. In years when there are enough funds to do so, the board may also elect to award partial scholarships (up to $8000) to runners-up. The director will then notify the winner(s) of their scholarship after the June board meeting of the same year. This ensures that there is enough time for all essays to be submitted, for the board to adequately judge them, and for the rest of the application process (visiting day, interview, and review of the application) to be complete.